accelerated speed to market introduction. 1. 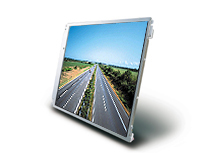 Flat Panel Display technology and applications support programs. 2. Product Selection assistance that avoids shortages and insures long-term availability. 3. Multiple sourcing of key components. 4. Logistics management to increase inventory turns and reduce risk. 5. New Product Design Support. KSW Displays recognized the need in today's competitive environment for someone to add real value to customer's LCD Display requirements. We chose to do this through technical design support and implementation as well as logistics and global procurement programs. In addition we provide the very best products available. KSW has partnered with some of the leading LCD manufacturers in the world, including NEC, AU Optronics, LG Philips, and Samsung. Click on products for more information. Please click here for a more in depth company profile. Send mail to sales@kswdisplays.com with questions or comments about this web site.